So in case you've been living under a rock, or otherwise pay very little attention to me, I recently published my 9th book on Amazon.com. It's a history of American political parties. Each chapter covers a different political party, and I generally go in chronological order, starting with the Federalists of the 1790s and going up through the modern day. Each chapter ends with a summary of the vital statistics for the party in question. 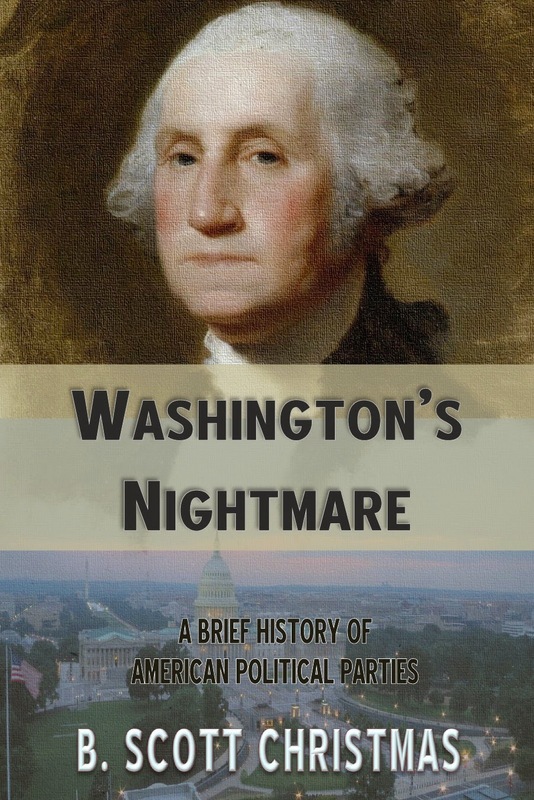 In addition to readers interested in political history, it's also a good book for anyone interested in American history in general, because our political history is interwoven so closely with our national history. It's also a great resource for students and teachers. Also, remember that as an e-book, it would make a great last minute gift idea, since it gets delivered instantly. 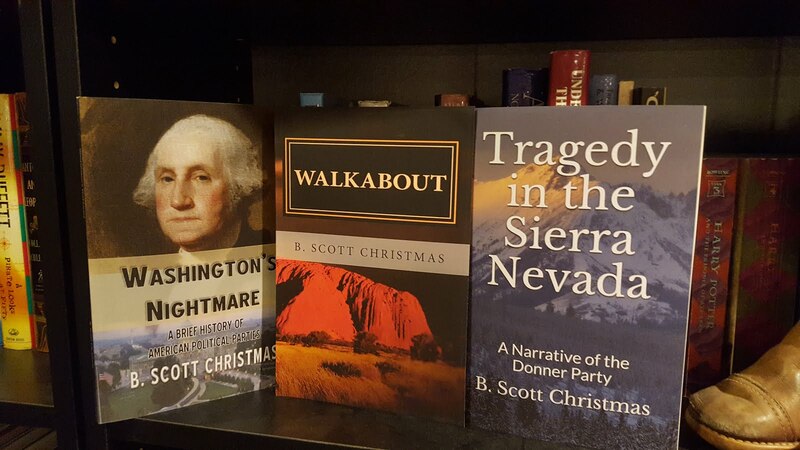 I don't remember if I've noted it in previous editions of NFTC, but now that I've finished my political parties book, I am working on a novel. It's not a new novel, but an old one that I finished in 2004. I'm attending a writer's conference in Louisville in February and have paid for a 10-minute, one-on-one interview with a literary agent where I will have the opportunity to pitch a novel. Since there wasn't time to write something new, I decided to pick one of my old ones, re-write/re-work it, and use that. The book in question is an adventure thriller set in Australia. I'm under a time limit, so the pressure is on, and I've still got a lot of work to do. I've pretty much been working on it every day, including weekends and holidays. Today is the Sunday before Christmas and we are celebrating with M's Indiana relatives at her parents' house. Now that they have moved to our side of the river, it's only a short ten minute drive. That's really nice, because in the past we've always had to drive forty minutes to get to her parent's house. I'm actually looking forward to sitting around all day eating, talking, and watching TV. My parents were in town from Texas for Christmas last weekend and we had a good time. It's weird to realize this will be the last Christmas they have to travel up here to see us. By this time next year, they should be retired and living here. Dad moved down there in 1991, and Mom joined him when I graduated from high school in 1993, so I've pretty much never had my parents close by in my adulthood. It will be weird having them accessible. Weird for them too, I'm sure. I recently finished Ken Follett's Century Trilogy - a series of three books about several families set against the history of the 20th century and its biggest events. The books are all really long, but they were good and are certainly recommended for anyone interested in 20th century world history. They did not have the magic of his historical epic Pillars of the Earth, which still remains my undisputed favorite novel of all time, but I gave them each 4 stars on Goodreads. I'm currently reading a novel by Dan Simmons, a historical/horror novelist I just discovered this year. I loved the first book of his I read - The Terror - and this one, which is called Summer of Night, looks like it's going to be really good (I've only read one chapter, but it was a good start). For a brief UK basketball update, they absolutely demolished UCLA last night (the halftime score was an unbelievable 41-7), and if they can beat Louisville (at Louisville) next weekend, they have a very, very good chance of going undefeated this year. Rhetoric aside, if they continue like they've played in their first 12 games, they could be among the greatest college basketball teams in history. They have to win a national title first, of course, but unless something drastic happens, you'd be a fool to bet against them. In honor of Christmas, how about a list of Christmas favorites? Favorite Christmas Movie: Scrooge, starring Albert Finney. This is a British musical version of the classic Dickens tale, made in about 1970. It's exactly what you'd expect a British musical from 1970 to be like, and I absolutely adore it. Favorite Classic Christmas Song: Here We Come a'Wassailing, as sung by Tennessee Ernie Ford. Ford's Christmas songs were a major part of the soundtrack to my childhood Christmases, and this one has always been my favorite. His voice fairly screams "Christmas" to me, and I just love this particular tune. Favorite Modern Christmas Song: Christmas Canon Rock, by Trans-Siberian Orchestra. This was a no-brainer. I'm pretty much a traditional Christmas music guy...I don't like much Christmas music made after 1980 (Amy Grant being a major exception), but I love a lot of the Christmas music done by TSO. What could be better than a fusion of three of my favorite music genres: Christmas, Classical, and Hard Rock? Best Christmas of All Time: 1988. I still think of this as the last Christmas of my childhood, and also the best. I was 13 and in 8th grade, and it was really the last year that I still maintained that spark of magical childhood excitement over the Christmas holiday. We had just moved to Cincinnati from Louisville that summer, and my parents went a little crazy with the presents that year, I think probably because they felt guilty for uprooting me from my friends and comfort zone. I definitely didn't transition well to the move, and looking back now, I suspect that Christmas was partly their attempt to assuage my pubescent angst. I don't remember everything I got, but I know I got a TV for my room, and bunch of other crap that I wanted. I suppose that's enough for now. As per the norm, I feel like I had more to say, but now I can't remember. Merry Christmas!